Home » Student Bloggers » Stories from the Lab: Better Cookies—Whole Eggs or Egg Whites? Stories from the Lab: Better Cookies—Whole Eggs or Egg Whites? There are millions of ways to make cookies. Whether it’s chocolate chip, sugar, or peanut butter fudge, the variations and options are unlimited! Some recipes may call for honey as a replacement for sugar, while others may include food coloring dye for a range of pigment colors. If, like me, you have a sweet tooth for desserts, I know you’re getting excited just thinking about it. In my Culinary Science Research Methods class, my teammates and I experimented with a common cookie ingredient and had some cookie-making fun! This time, we tested what the effects of egg whites have on cookies. To create cookies, you typically use whole eggs and their proteins for flavor, leavening, structure, and color. Eggs promote puffiness and spreading in cookies, while also holding the cookie together during baking. The height and texture of the final product is determined by how much egg is incorporated into the batter. Substituting ingredients can make or break a recipe. Any change will affect the sensory attributes—including the aroma and taste—of the final product. In this experiment, we tested just that. Do egg whites in cookies have a better likability than cookies made with whole eggs? Let’s find out! To begin, my teammates and I agreed on a cookie recipe that we adapted from the CIA’s Baking and Pastry book, which we used as the control. For the variation, we used the same recipe, but substituted egg whites for the whole eggs (yolks and whites). 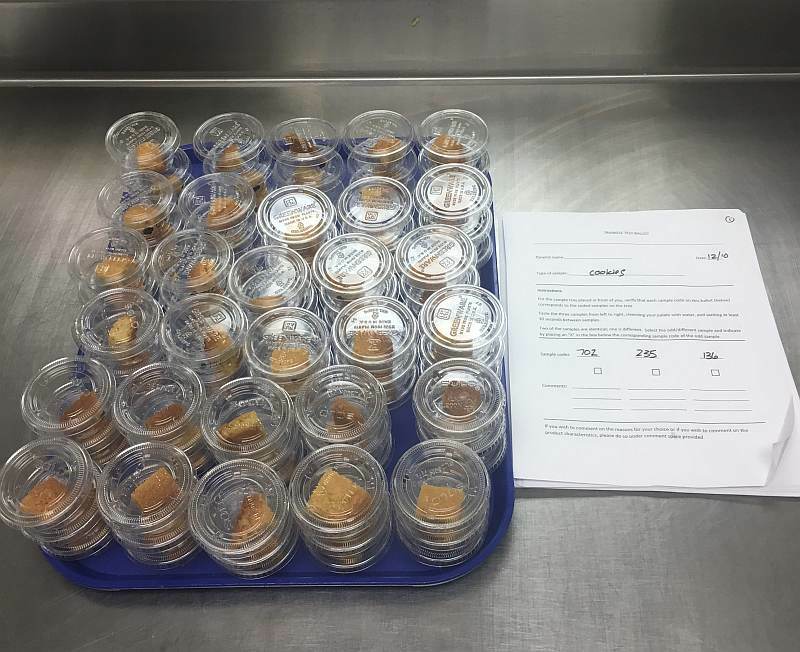 For this experiment, all ingredients were weighed and measured. The oven was set at a temperature of 165 degrees Celsius. We creamed the butter and sugar using a KitchenAid stand mixer and a paddle attachment for three minutes. Then we slowly added the eggs, along with the vanilla, until fully incorporated. We sifted the flour, baking soda, and salt using a Tami, and slowly added it to the stand mixer. Once the dough was fully incorporated, we turned off the mixer and weighed the dough. 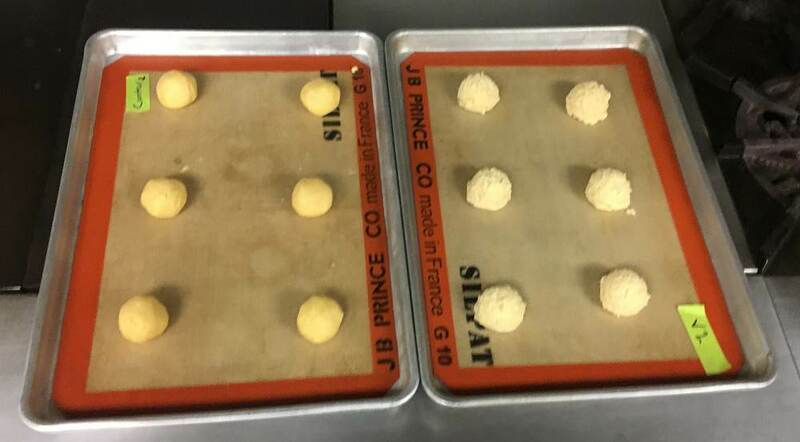 Using a one-ounce scoop, we placed 40 grams of cookie dough balls on a sheet tray lined with a Silpat sheet, and baked them for 12 minutes. We then transferred the baked cookies to another sheet tray to cool. 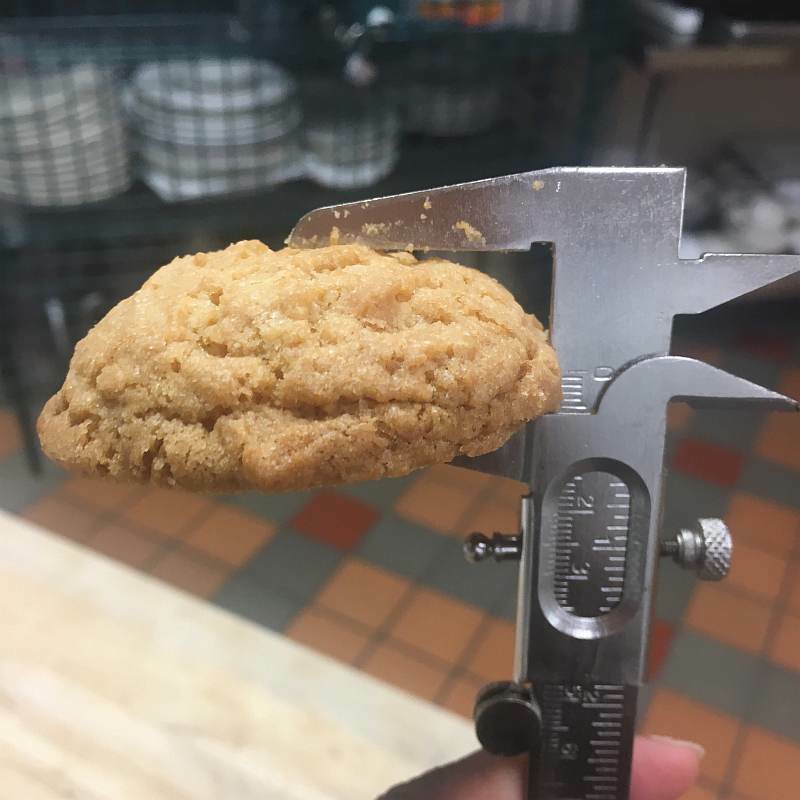 Using a penetrometer, we evaluated the density of the cookies. Penetrometers are specially equipped to measure the tenderness of gels and baked goods with a cone tip that penetrates the samples by gravitational force. We then used a caliper to measure the height of the samples, evaluating the after-bake heights of both. Calipers measure external diameters and widths of objects. We evaluated the pigment profiles of the samples with a colorimeter. The colorimeter testing showed that compared to the control, the variation was slightly lighter. However, the difference was so small that it was undetectable to the human eye. We conducted one final test to analyze the sensory attributes. For this, my teammates and I went to The Egg to gather data via a Triangle Test from CIA students and faculty members. A Tringle Test consists of a ballot with three samples. Two of the samples are the same and one is different. The purpose is for the panelists to correctly identify the sample that is different. Out of 30 panelists, only 12 correctly chose the right sample. This means that 18 panelists could not tell the difference in flavor, texture, or aroma of the control cookie verses the variation cookie. Interacting with other students at The Egg for sensory was interesting. I had my own personal opinion of the cookies but seeing and reviewing other’s perception was entertaining. We received many diverse comments in relation to the egg white cookies. Some of these comments included stiffer, lighter in taste, and crispier. 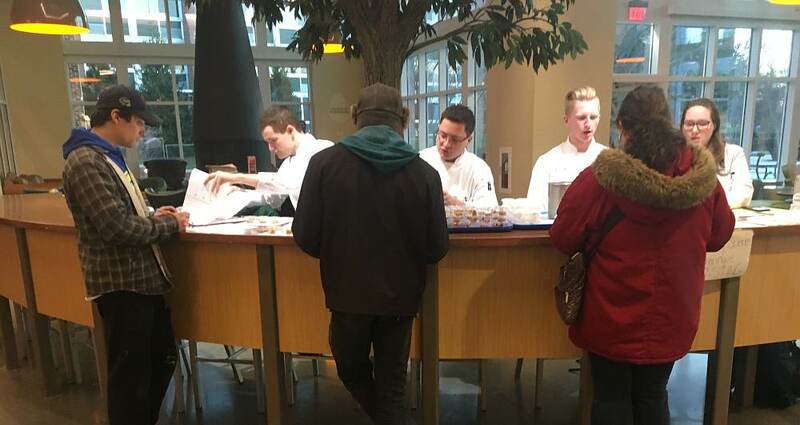 One of the participants was a baking and pastry dean, and even he had a hard time figuring out which sample was different. 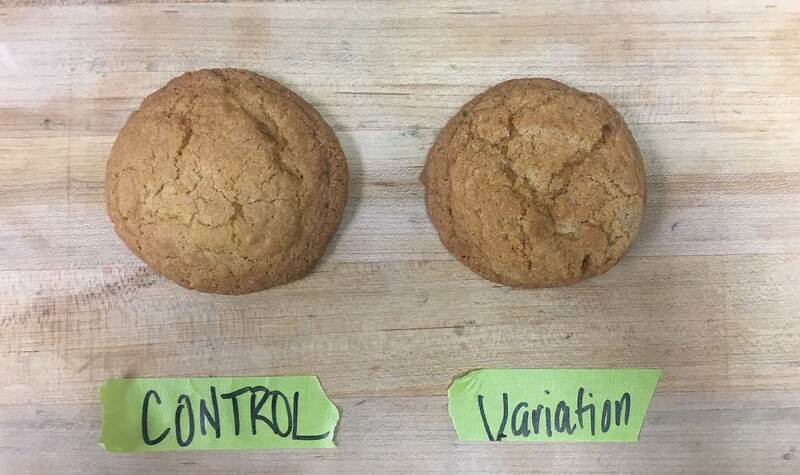 All the testing experiments—height, pressure, color, and sensory—showed that there was no difference between the control cookie with whole eggs verses the variation cookie with only egg whites compared to a 95% confidence level. This means that the flavor and appearance between the two samples were virtually the same. My group members and I had a blast doing this experiment. We did plenty of research beforehand, but we weren’t quite sure what the results would be. One of my group members hypothesized that the egg white cookies would be drier and chewier compared to the whole eggs but as the tests showed, they was no significant difference. Egg whites can successfully be substituted for whole eggs during cookie baking, and possibly with other baked goods. If you’re curious, I would suggest trying this out for yourself. You’ll be surprised to see how eggs react during cooking and baking applications. The cookie you think you’d prefer might not be the one you wind up liking better afterwards! Originally from Browns Mills in New Jersey, Majestic graduated from the CIA with her AOS in Culinary Arts in June 2017. 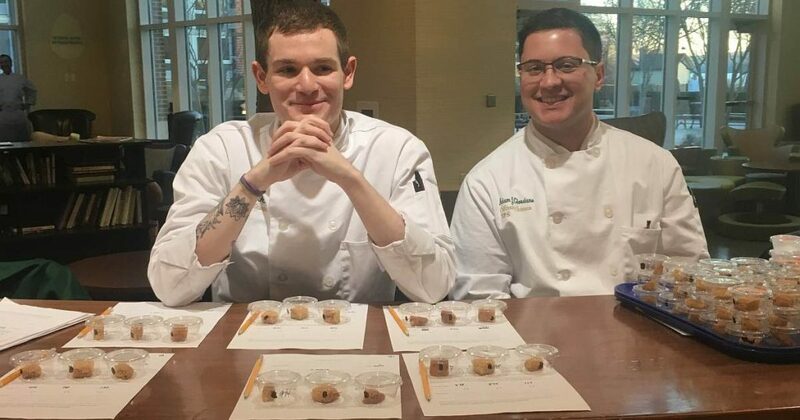 After working in the industry for a luxury casino in Atlantic City, Majestic decided to continue her culinary education and enroll in the CIA's culinary science program. She’ll give you a behind the scenes look into the amazing labs, experiments, and explanations of the wonders of food science.